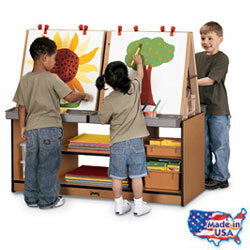 Jonti-Craft, Inc.® is the leading manufacturer of high quality early learning furniture made from wood and laminate. 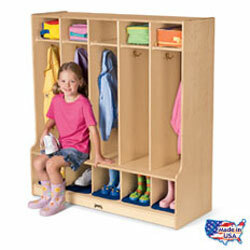 All furniture is designed to be safe, affordable and functional. 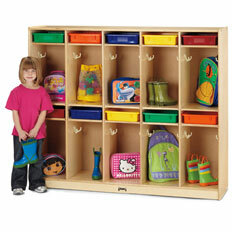 Jonti-Craft has introduced several new lines of furniture including innovative storage solutions, activity tables, lockers, dramatic play furniture and much more. Chose from our classic birch line of products for a natural look or chose our Rainbow Accents® line if you'd like to add color into your environment. 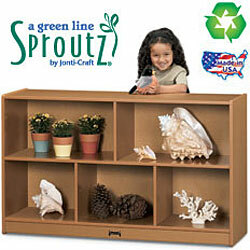 Jonti-Craft drop ships and has no minimum order. Nearly all Jonti-Craft products are backed with a lifetime warranty. For more information call 800-543-4149, click www.jonti-craft.com or email sales@jonti-craft.com.